No one wants to hear their HVAC needs repair but, systems don’t last forever and sometimes they need the TLC only a qualified repairman can provide. Here are some signs that despite your best efforts at keeping the system alive, it’s time to call in a professional. The point of an HVAC system is to keep you comfortable. The surest sign that your HVAC needs repair is your unit’s inability to keep your home cold or warm enough to make life pleasant. If you are constantly turning the thermostat down but not feeling colder, you probably have a problem. A well-functioning system keeps your home the temperature you choose, with very little fluctuation. If you have been performing recommended HVAC maintenance on your system, but are not getting the results you expect, it may be time for repair. Your heating and cooling costs are a great way to monitor the performance of your system. If your price for power has remained unchanged from year to year but your bill is increasing, you might need repairs to make your system more efficient. Just comparing the summer months from the past few years should give you the information you need to decide if your HVAC needs repair. Depending on the numbers, system replacement might be an attractive option, especially with affordable HVAC financing available. Innovations are happening all the time which make newer HVAC systems more efficient than their predecessors. Also, machines eventually wear out. If your unit is ten years old and is simply not performing like you think it should, it might be time to call for service or replace the system entirely. Screeching, thumping, and clanging are bad sounds. If coming from your heating and cooling system, most likely your HVAC needs repair. Sometimes the problem is minor and can be corrected quickly. Other times, the horrible racket you have been trying to ignore is trying to tell you the system is getting ready to fail. If you are getting no air flow and the unit will not power up, the need for HVAC repair is obvious. Hopefully, you are just experiencing an interruption in power which can be addressed easily. If not, serious maintenance or replacement may be necessary. A qualified repairman can diagnose the issue and possibly get your system up and running without total replacement. It all depends on the cause of the failure. 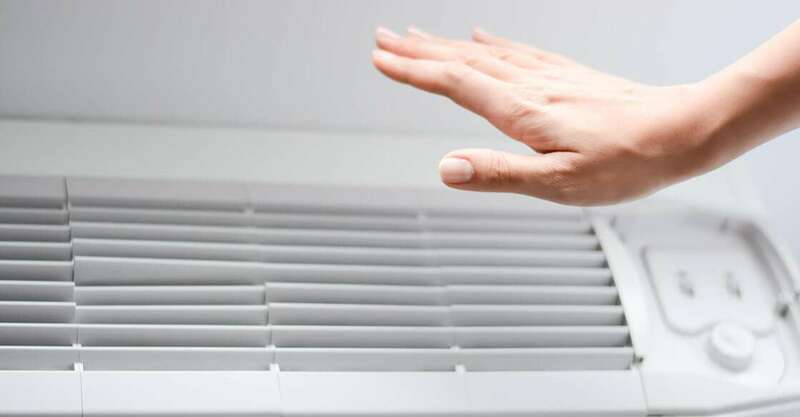 HVAC systems should make your air smell better, not worse. If you are noticing odd odors when the unit is running, you may have a significant problem. If your HVAC smells like it is burning, shut it down and call a professional. Even damp or dank smells, like mildew, can indicate your HVAC needs repair. It’s understandable to hesitate when calling in an HVAC repairman. System replacement can be expensive. But waiting for a part that could have been replaced to ultimately cause the entire system to fail can be even more costly. Plus, your repairman may be able to increase the efficiency of your unit and the service will pay for itself over time. So, if you have noticed any of these signs that your HVAC needs repair, call a pro to keep you cool.